On rainy days and Mondays, we always crave for comfort food, particularly a soup-based dish. 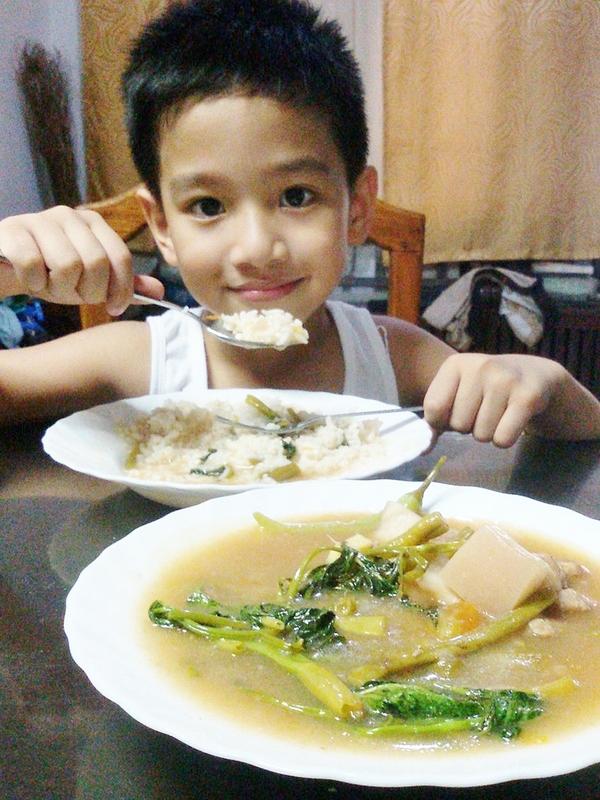 And in our family, that will always be Sinigang na Liempo with Knorr sa Sampaloc with Gabi. 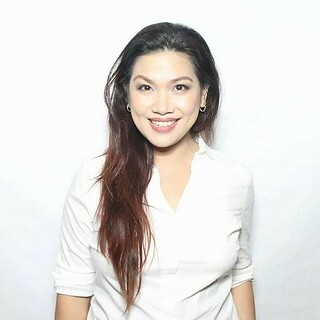 Ang sarap ng mainit na sabaw .during colder days in our country. That's why Sinigang will always be perfect no matter what. 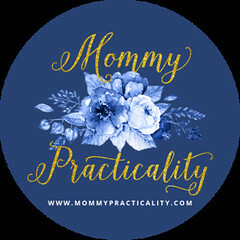 So as part of my life goals as a mom, I want to be more hands-on by providing the kids (and the kid at heart, referring to my husband) a Lutong Nanay experience as much as I can because that's what they will remember when they grow up. It's how I remember my mom too. 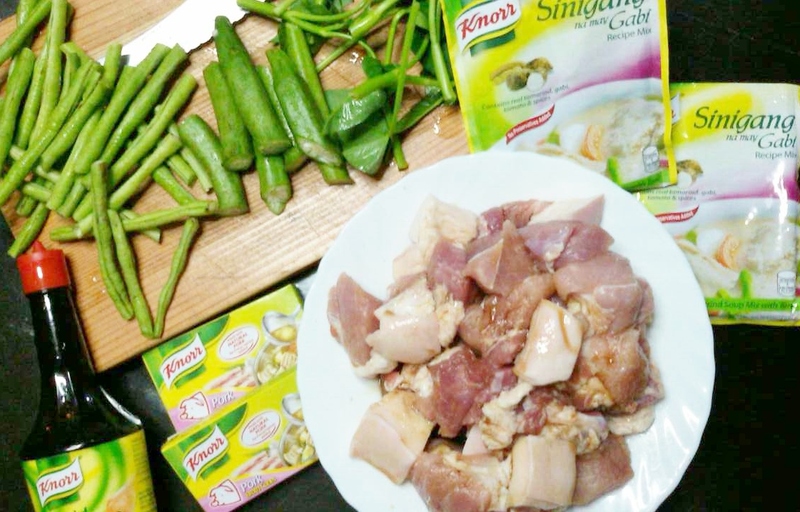 I always cook whenever I can, this time, let me share with you my Sinigang na Liempo kitchen creation of course using my Asim Kilig partner, Knorr Sinigang sa Sampaloc with Gabi. Sarap nito because the Gabi adds a different flavor plus it helps make the soup thick. I know the Sinigang recipe by mind, heart and soul because it's been a staple on the dinner table as it has become a favorite dish of my kids. 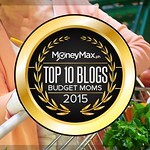 It was through Sinigang that they learned how to eat and appreciate vegetables! For some, Sinigang may appear like an intimidating recipe, but actually it's not especially if you have Knorr as your partner in the kitchen. Here's my preschooler who loves Sinigang the most! My Wessie learned how to eat and appreciate veggies because of Sinigang. Could you see how thick the soup had become? 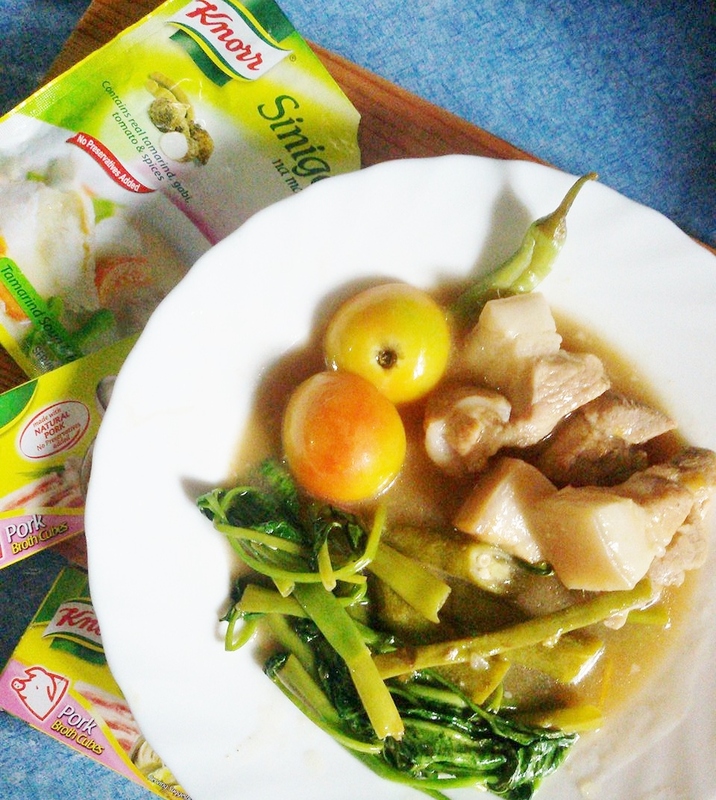 That's the magic of Gabi in the Sinigang sa Sampaloc soup mix from Knorr. Anyway, for new moms, newbie in the kitchen, amateur mommy chef (like me), here's an easy recipe you could follow to make this dish. 3. Add the pork belly and gabi. Continue to boil in low heat for 1 hour or until the pork gets tender. Add more water, if necessary. There you have it! Easy peasy right? Don't be intimidated, just keep on cooking for the family kasi iba pa rin talaga kapag Lutong Nanay!